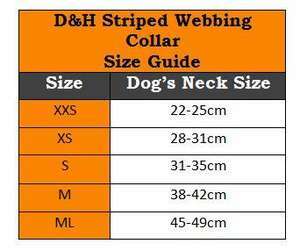 This striped webbing collar from D&H is hard-wearing made from a double layer of 2cm wide cotton/polyester webbing, with saddlery-leather fixings, perfect for active dogs. 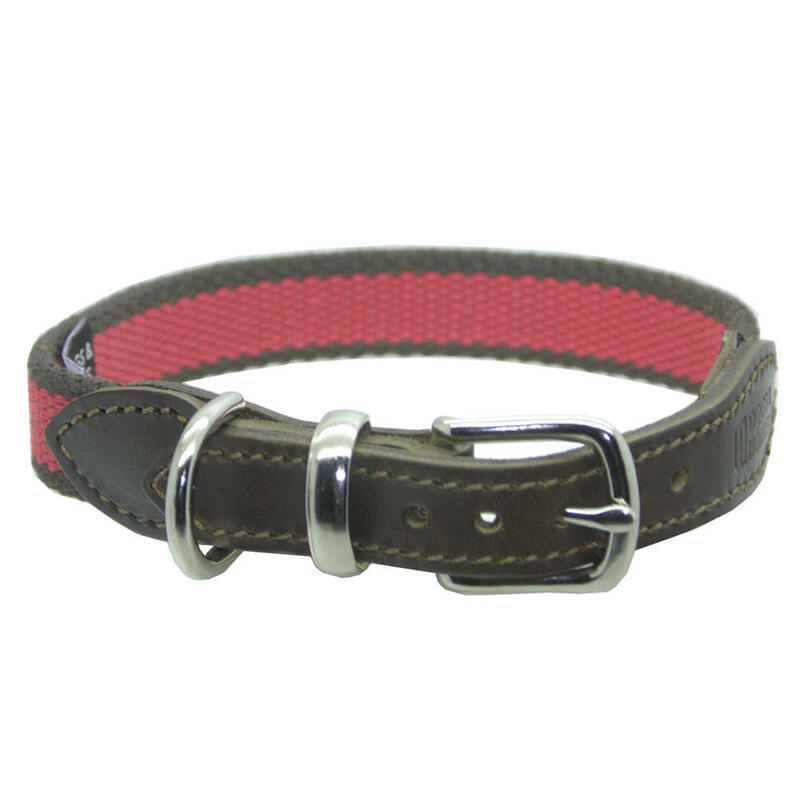 This collar has a contemporary feel and is finished with nickel plated fittings. Care Guide: Leather is a natural product. 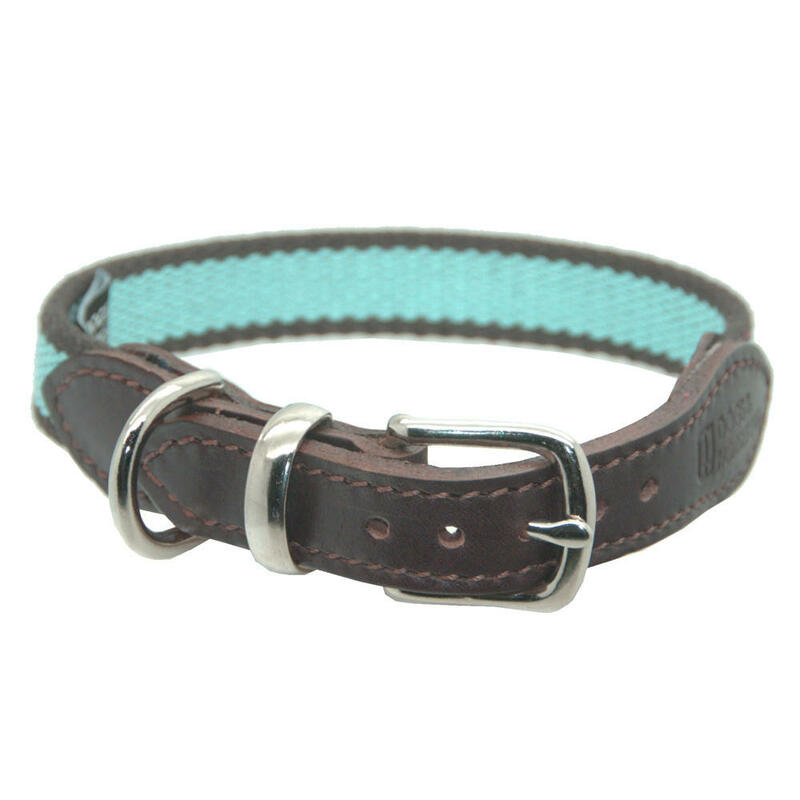 To ensure its durability, allow to air-dry completely before re-use if your collar gets wet. 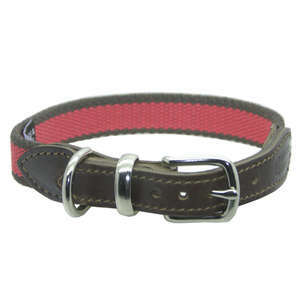 Do not allow the leather to come into contact with the chemicals from commercially-available flea spot-on treatments. 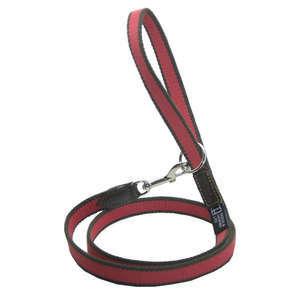 This will damage the leather and may cause the dye to run.